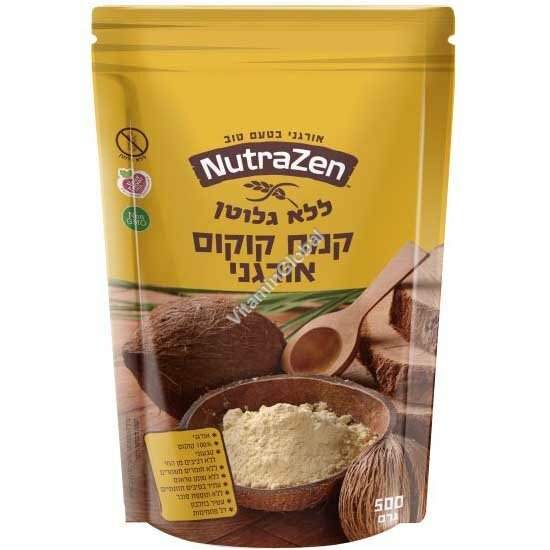 NutraZen organic coconut flour is made from fresh coconut meat which is dried at low temperatures (Below 60 degrees Celsius), defatted and finely ground. It is naturally low in carbohydrates, contains no gluten, has a low fat content and is a good source of protein. This versatile ingredient can be used in your favorite recipes to create delicious, nutritious and wonderful foods without the health risk associated with refined grain flours. Our flour is cream- colored, has a soft powdery texture and adds a hint of coconut aroma and taste to your baking.